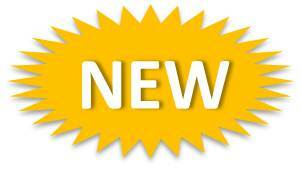 New Custom Culinary® Whisk & Serve® Soup Mixes enable you to quickly and easily set your menu apart – just add hot water and whisk until smooth. 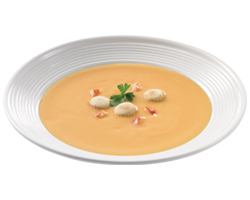 Authentic flavor shines through in these soup mixes whether it is our Whisk & Serve® Lobster Bisque Soup Starter or our Whisk & Serve® Cheesy Tortilla Soup Mix. We use real ingredients and unique flavorings to set our soup mixes beyond competitors. Our soups also provide a variety of health considerations including no gluten ingredients. Add your own special ingredients to create signature soups that will please patrons, encourage repeat visits and add new profits to your bottom line. 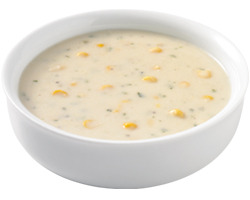 Thick, creamy chowder packed with real corn delivers a sweet dairy note with a hint of pepper. Cheesy and bold, this mix delivers tremendous flavor and is easy to spice-up. Smooth and creamy with fresh lobster flavor and rich aroma. Serve as is or garnish to taste. 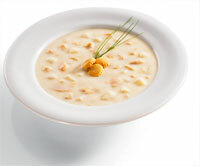 Rich, creamy dairy flavor used in place of cream or as a base for soups, sauces and side dishes.